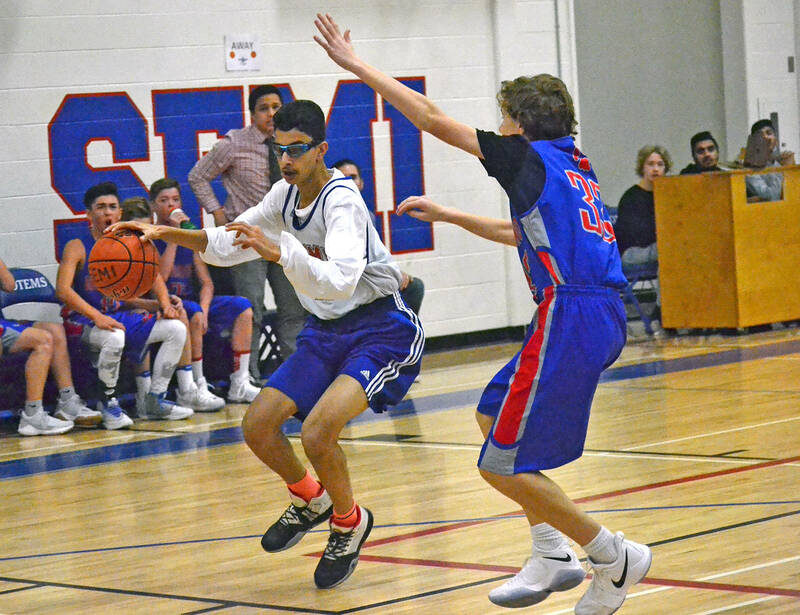 Nov. 29, 2017 12:40 p.m.
Semiahmoo Secondary was as busy as ever Tuesday afternoon, as students, parents and basketball players of all ages jammed the gym for a handful of boys basketball games. 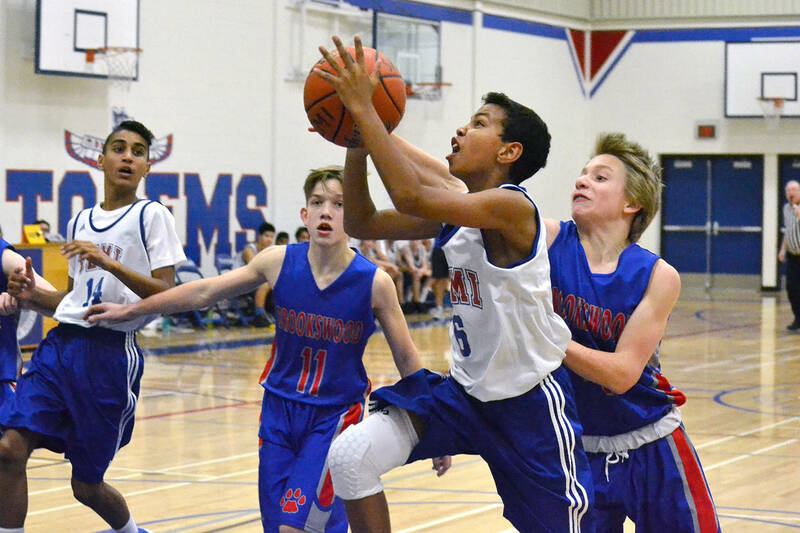 The tip-off to the hoops season featured four games beween the Semiahmoo Totems and visiting Brookswood Bobcats from Langley. 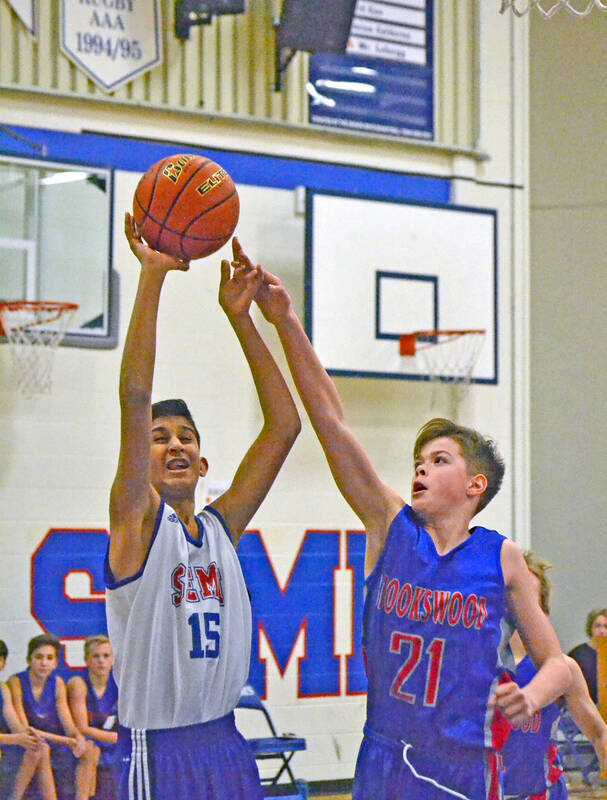 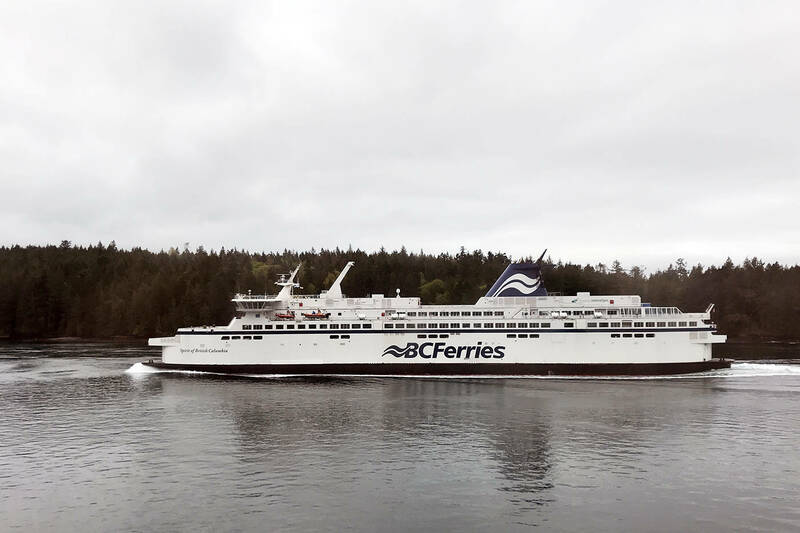 The schedule began with a 2 p.m. tilt between the schools’ Grade 8 boys teams – won 33-31 by the Bobcats – and was followed by a Grade 9 tilt, which Semiahmoo won 71-32. 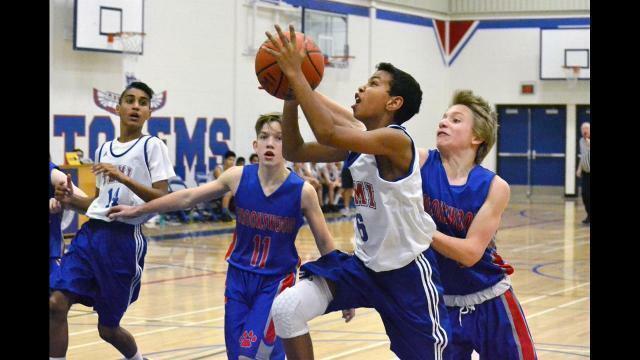 In the evening, the two schools’ junior teams squared off, with Brookswood winning 75-55. The senior Totems got the better of their Langley rivals in the final game off the day, beat the senior ‘Cats 99-46. In that game, Semiahmoo’s Adam Paige led all scorers with 28 points – highlighted by what Semi coach Ed Lefurgy called a “monster baseline dunk” in the first quarter – while Vlad Mihaila had 18 points.